This cheap 4K HDR Android TV box doesn't get with the times. 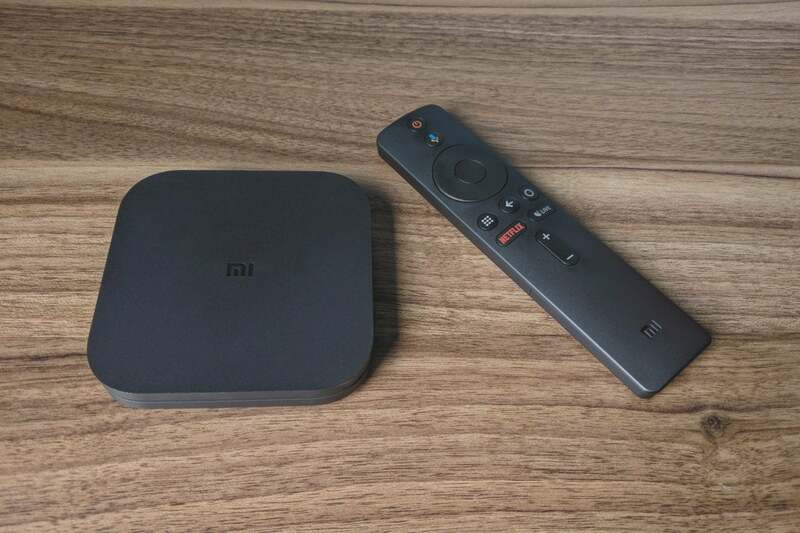 On paper, there’s a lot to like about the Xiaomi Mi Box S. This $60 streaming box offers 4K HDR video, Google Assistant voice controls, and built-in Chromecast support so you can launch videos from a phone. It even has a full-sized USB port for plugging in external hard drives or game controllers. But in actual use, the Mi Box S is a letdown, with low frame rates for live TV streaming, a feature-limited remote control, some vexing technical issues, and fewer apps than other streamers. Android TV diehards are still better off splurging on the Nvidia Shield TV, while most users in need of cheap 4K HDR streaming should go with either a Roku Premiere+ or Amazon’s Fire TV Stick 4K. Despite the new name, the Mi Box S is almost identical to the original Mi Box that Xiaomi brought to the U.S. market in 2016, with the same Cortex-A53 processor, Mali 450 GPU, 2GB of RAM, 8GB of built-in storage, 802.11ac Wi-Fi, full-sized USB 2.0 port, and S/PDIF audio output. The main differences are a slightly smaller enclosure, a new remote with some additional buttons, and the latest Android TV 8.1 software. The original Mi Box’s performance was adequate, and that hasn’t changed this time around. Frame rates occasionally drop while the Mi Box S scrolls through menus, but it loads apps quickly and can handle demanding apps such as PlayStation Vue without major slowdowns. The Mi Box S’s biggest performance issue might not be entirely hardware-related: In live TV streaming apps such as PlayStation Vue, YouTube TV, and Sling TV, the Mi Box S doesn’t provide 60 frames-per-second video. That means sports and news channels look choppy compared to cable and to other streaming devices such as Roku’s Premiere+ and Amazon’s Fire TV 4K. While Xiaomi’s hardware technically supports 60-frames-per-second video—it’s available, for instance, in YouTube—live TV streaming services aren’t offering it. 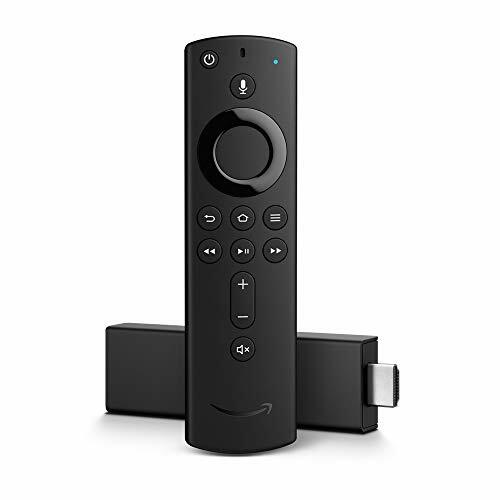 As for the remote, the Mi Box S’s clicker now includes quick-launch buttons for Netflix and for Android TV’s Live Channels app. It also has a button that shows all apps in case you don’t want to visit Android TV’s more content-centric home screen. (More on that later.) The position of these buttons felt awkward, though, with the back button in between the all apps and home buttons. I often pressed the apps button when I meant to go back. The Mi Box S’s button arrangement—all apps on the left, back in the middle, and home on the right—is a bit awkward. 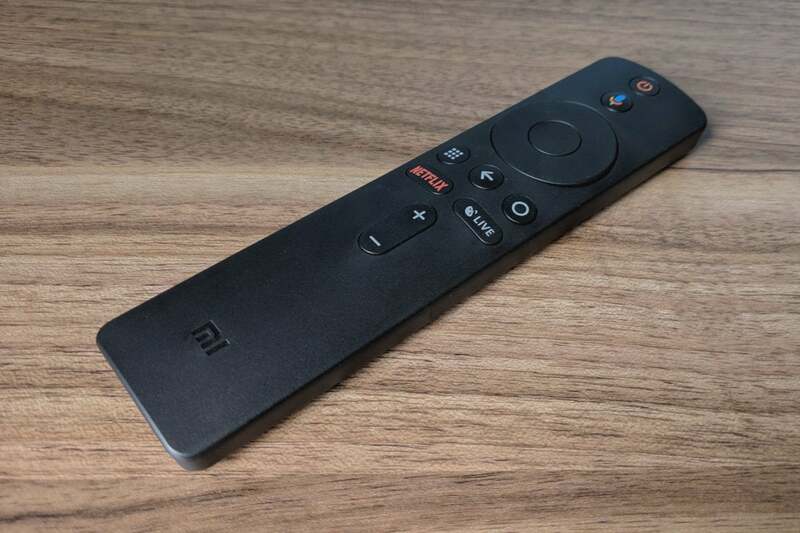 Even worse, Xiaomi didn’t bother to add an infrared emitter to the remote, which puts Mi Box X squarely behind other modern streaming devices. Although the Mi Box S has buttons for volume and power, these can only control the TV through HDMI-CEC. Unless your TV is connected to an external soundbar or receiver, you’ll only be able to reduce the Mi Box’s own volume output. You’ll need a separate TV remote to make things louder. Also worth noting: While Android TV technically supports USB tuners, so you can watch over-the-air channels through the Live Channels app, the Mi Box S failed to recognize my Hauppauge WinTV-DualHD USB antenna tuner. 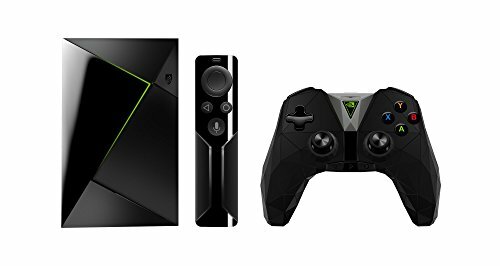 (Nvidia’s Shield TV recognized the same tuner without issue.) 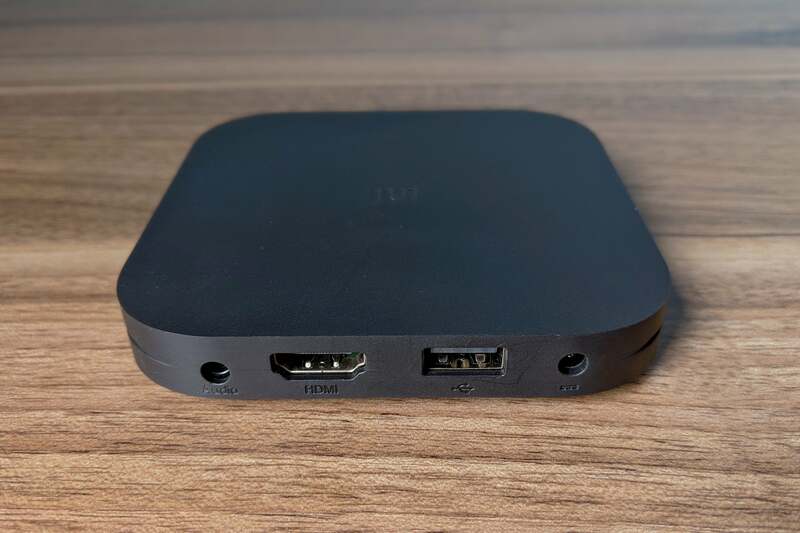 If you want to watch live, over-the-air channels directly through the Mi Box S, you’ll need a pricier networked tuner, such as the HDHomeRun Connect or Tablo DVR. The full-sized USB port is nice, but it didn’t support my Hauppauge TV tuner. Like many other modern streaming devices, the Mi Box S supports 4K HDR video, which allows for a sharper picture and richer colors on supported televisions, but getting this up and running caused some headaches. At first, the Mi Box S failed to detect 4K support on my 2017 Vizio M-Series TV, and would only show 720p video instead. Manually selecting 4K output in the Mi Box’s settings menu solved the problem, but I’ve never had to do that with other streaming devices. I also found that the Mi Box S wasn’t switching my TV into HDR mode while watching 4K HDR videos. A factory reset fixed that issue, but it’s unclear what caused it in the first place. The Mi Box S remains convinced that a Vizio 4K HDR Dolby Vision television is actually a 720p panel. Even if those issues don’t come up for other users, the Mi Box S’s HDR support is still subpar. While it supports the HDR10 standard, it doesn’t support Dolby Vision or HDR10+, both of which can optimize colors on a scene-by-scene basis. And because Android TV doesn’t have platform-wide support for Amazon Prime Video, you’ll miss out on a major source of 4K HDR content. I’d also suggest leaving the Mi Box S’s SDR-to-HDR conversion option disabled, as it introduced obvious visual artifacts to white images. Both the Apple TV 4K and Fire TV Stick 4K do a much better job converting SDR content to HDR. The lone bright spot here is that Google Play Movies & TV now upgrades SD and HD purchases to 4K at no extra charge, just like Apple TV does for iTunes purchases. What makes the Mi Box S is intriguing in the first place is that it’s the cheapest device that runs Google’s Android TV software. While Android TV never gets as much attention as Google’s Chromecast devices, it’s arguably a better living-room solution. Not only does it support the same phone-based controls as Chromecast, it also offers a full on-screen menu system and voice controls powered by Google Assistant. Android TV 8.1 puts recommendations right on the home screen. The Mi Box S has a major problem with its Chromecast implementation, though: When the box is asleep, it becomes unavailable for casting. 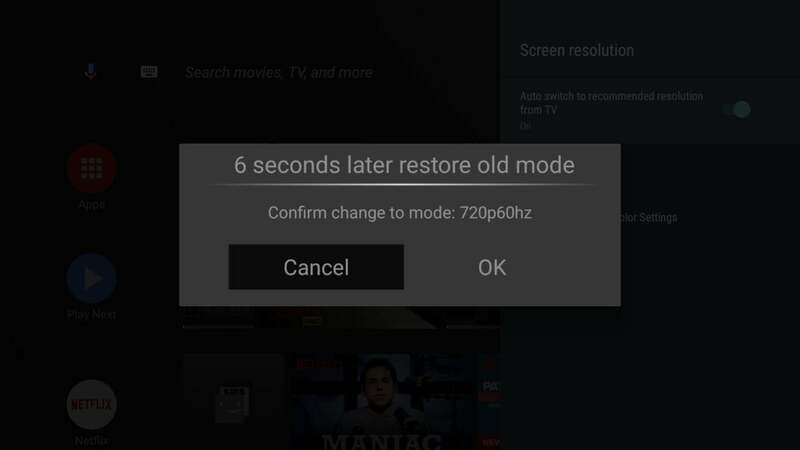 If you want to launch a video from your phone, you must first grab the Mi Box’s remote and turn the device on, which defeats the purpose of using your phone as the remote in the first place. That issue aside, the Mi Box S provides a decent Android TV experience. It runs Android 8.1, which lets apps like Netflix and Hulu have their own recommended content rows on the home screen. It also includes Google Assistant, which lets you search for YouTube videos, videos directly in certain apps, and control video playback with voice commands. 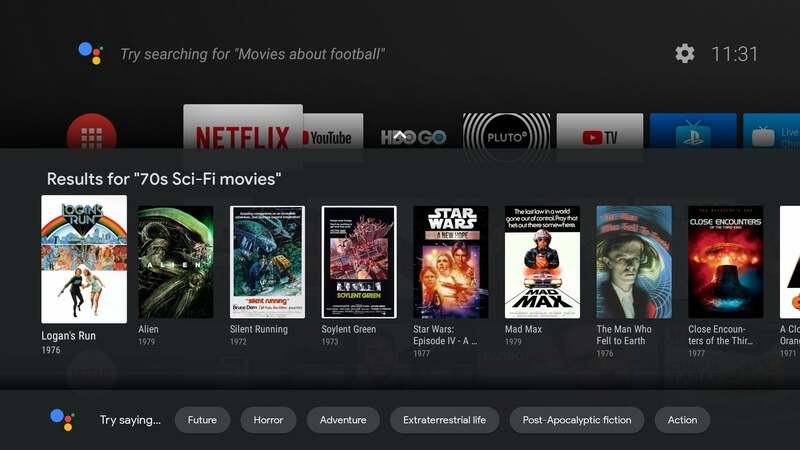 Best of all, Google Assistant’s genre search supports detailed queries, such as “Comedy movies from the 80s” or “James Bond movies with Sean Connery.” Genre search on Roku and Fire TV isn’t nearly as thorough. Google Assistant’s genre search is top-notch. But much like the Mi Box itself, Android TV is better in theory than it is in practice. It’s missing some of the niceties that you’ll find on other streaming platforms, including single sign-on for cable-authenticated apps, volume boosting for dialog, private headphone listening (as seen on Roku players), and any kind of universal watchlist. More importantly, Android TV’s app support is behind other platforms. 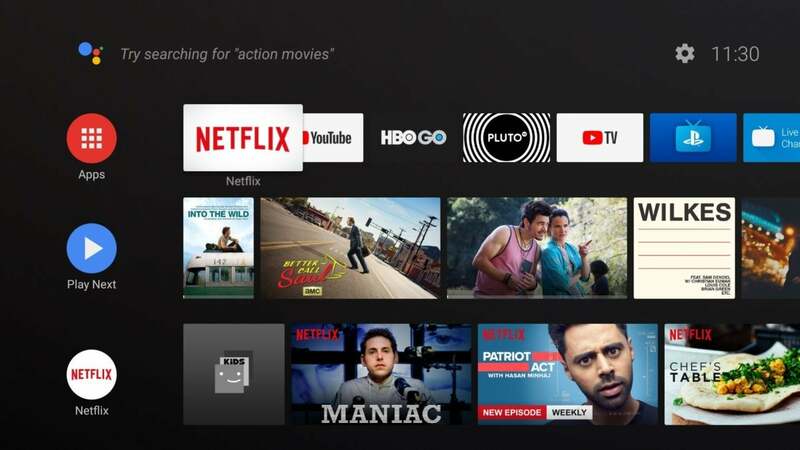 It lacks the live TV streaming services DirecTV Now, Hulu with Live TV, and Philo, and few third-party apps fully support Android TV’s “Play Next” row, which is supposed to help you pick up the next episodes of shows you’ve been watching. Meanwhile, Hulu’s home screen row only shows a handful of outdated recommendations, such as a year-old episode of Saturday Night Live, with pixelated thumbnail images to boot. Android TV continues to need a showcase device—one that highlights the platform’s Google Assistant support, Chromecast capabilities, and interesting interface—in a way that gets app developers excited. And it needs to do this while competing with other low-cost hardware on remote-control features, 4K HDR support, and overall performance. Xiaomi’s repackaged, deeply flawed, two-year-old hardware won’t do the trick. Xiaomi's cheap 4K HDR Android TV box doesn't get with the times.